The Russian Ministry of Transport recommended Russian airlines to conduct a one-time inspection of the landing gear shimmy damper and on Boeing 737 for the presence of possible fatigue cracks. The recommendation was issued following several incidents involving fatigue fractures of Russia Boeing 737 main landing gear torsion links. The most recent incident occurred on January 4, 2014 when the torstion link hinge on the right hand main landing gear of an Aurora Boeing 737-200 cracked on landing at Magadan, Russia. There were no injuries and the airplane suffered minor damage. 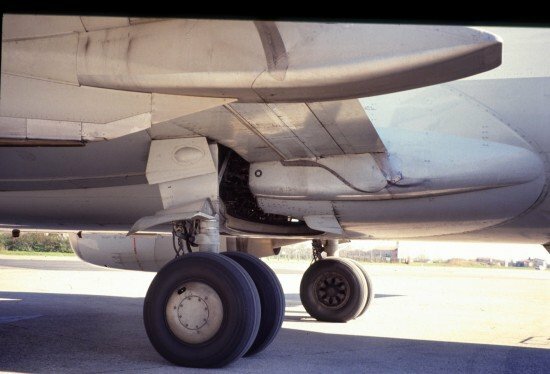 30 April 2008 – Boeing 737-347 VP-BBL of Moscow Airlines suffered a shimmy damper failure after landing at Barcelona, Spain. 24 October 2011 – Boeing 737-347 EI-CDE of Rossiya suffered torsion link hinge failure and shimmy damper failure on landing at Prague, Czech Republic. 12 March 2013 – Boeing 737-42C VP-BTH of Globus suffered oscillations of the left hand main gear on landing at Sochi, Russia. These incidents prompted the ministry to issue the recommendation.